The VariCel 2+ filters are available in high capacity and standard capacity models and three levels of efficiency: minimum efficiency reporting value (MERV) 15, MERV 14, and MERV 11. 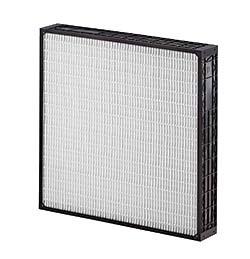 The filters are appropriate for general HVAC applications and applications operating with variable air volume, turbulent airflow, or high humidity. The filters are moisture-resistant and can withstand intermittent exposure to water with affecting filter performance.